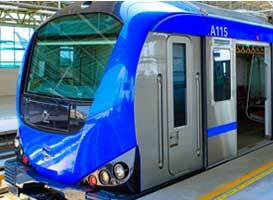 Phase-II of the Chennai Metro will be reportedly incorporating tunnels under two water bodies of the city, namely Adyar River and Chepet Lake. 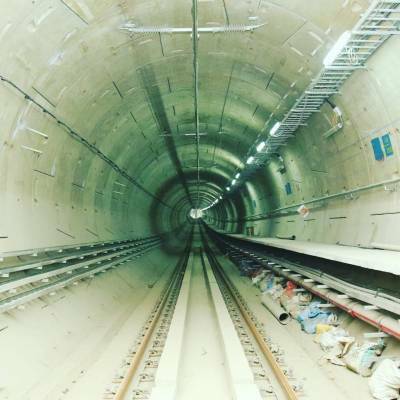 Reports suggest that once the Phase-II of the metro gets operational, commuters on board will plunge 20 m deep under the depths of the Adyar River and Chepet Lake while travelling between Madhavaram and Sholinganallur. The link to the four stations between the river and the lake is expected to be filled in by twin tunnels, stretching up to a km. Currently, soil testing for the construction of the twin tunnel is being conducted, with samples being collected every 15-18 m and 25-30 m by drilling a 150 mm borehole. The Adyar tunnels will be connecting the Adyar junction station and Adyar depot station, while those under the Chetpet lake will be connected at the KMC station on Barnaby road with Chetpet station. These four stations form a corridor of 45.8 km, of the 118.9 km Phase-II of the Madhavaram-SIPCOT line. The two tunnels are part of a priority corridor. Funding for these two tunnels has already been done. With the tenders are due to be floated by June, the construction work is expected to start by the year-end. In Phase-I, the CMRL has built two tunnels under Cooum River, between the Central Metro and Government Estate and Buckingham Canal near Central Metro, with a complex arrangement of rings to hold the soil above to prevent water seepage.